The girls love to go out now as an excuse to get all dressed up! I took this picture in our kitchen before we got in the car! 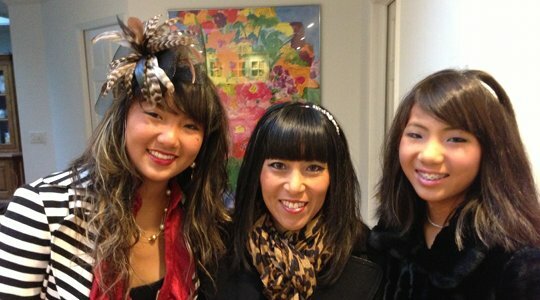 Christina Pao, Marsha Pao and Annalisa Pao get dressed for Christina’s 15th birthday dinner.